Mushroom Ketchup. ..... ..... ..... My way. 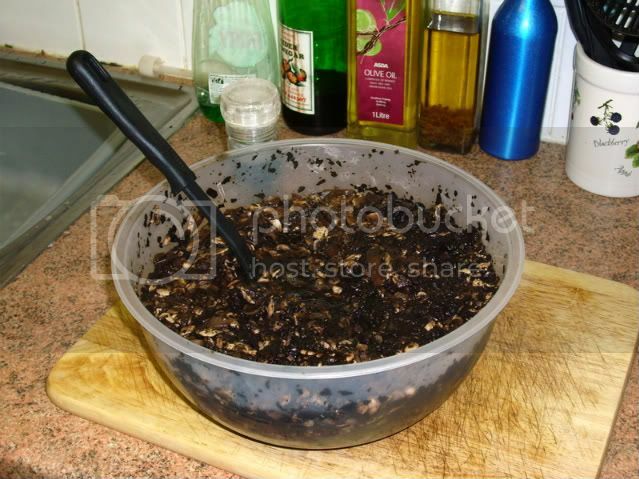 3 Kg Mushrooms: I have used a mixture of cheap "reduced to clear" Field and Button Mushrooms from my local Co-op. 1 Litre of Malt Vinegar: I prefer the taste of Malt Vinegar, but you could use White, Wine, Cider, Rice, etc. Vinegar. 850 grams Clear Honey: I came up with this quanity because the Honey I favour to cook & brew with is Asda value Honey which comes in a 425 gram Jar. 6 whole pieces of Star Aniseed. 1 Heaped Teaspoon of ground Mace. 1 Heaped Teaspoon of ground Allspice. 1 heaped Teaspoon of ground Cloves. 2 Heaped teaspoons of Ground Sea salt: I have used Fiddes Payne Sea Salt & Seaweed (but I'm changing brands soon ... look out for a tasting report. oh.gif ). 1 Slack handful of Nutmeg pieces. Cornflour; to thicken to the consistancy that you prefer. Coarsly chop the mushrooms in the food processor, add the Vinegar, and half the Salt. 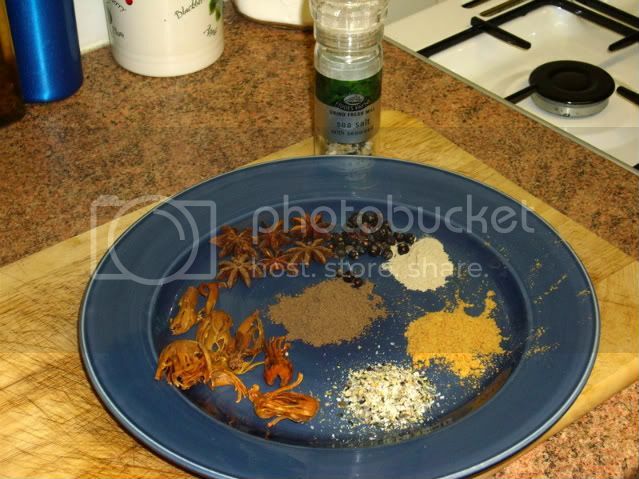 Thoroughly mix together in a suitable bowl, cover and stand in the fridge for 24-48 hours. Stir the mixture well everytime you get something else from the fridge. 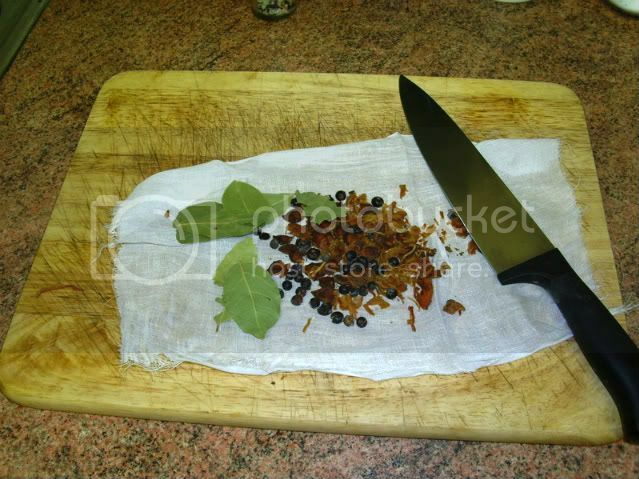 With the flat blade of a largish knife, crush the: Nutmeg, Star Aniseed, dried Juniper Berries, and add the Bay leaves. 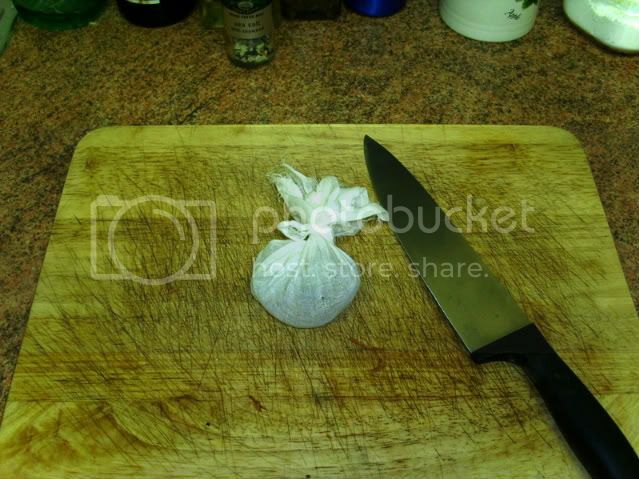 Wrap in a small square of muslin to make a bag. Place the lot in a large pan with a close fitting lid, and bring to the boil. 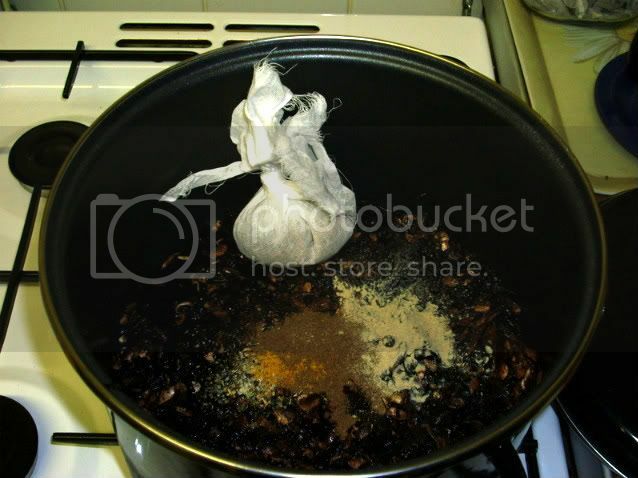 Simmer for 45 minutes, turn off the heat, allow to cool for approximately 30 minutes and remove the muslin spice bag. Zap with a blender until smooth. Note; you may need to bring it to the boil again to reduce the volume of liquid. Add cornflour to thicken to the consistancy that you prefer, and bottle. Use as you would a commercial brand of Tomato Ketchup. Thank you, Gareth. Nice write-up, though I'd never make the stuff myself.